We have recently celebrated two feasts of our Blessed Mother. On December 8th, under the title the Immaculate Conception, Mary is honored as the Patroness of the United States and on December 12th, under the title Our Lady of Guadalupe, she is honored as the Patroness of the Americas, North and South. Both of these feasts fall within Advent, the season that begins the new year of grace. Our Blessed Mother can teach us about Advent. The roots of the English word ADVENT are found in two Latin words. The verb, VENIRE, which means TO COME and the preposition, AD, which means TOWARD. The four weeks of Advent focus on the COMINGS of God TO US. There is the coming of God in the person of Jesus of Nazareth who entered into time and HISTORY born into human flesh in Bethlehem of Judea. This coming is celebrated and remembered annually at Christmas. Advent prepares us for the coming of Christ at His birth. There is the coming of God at the end of time to judge the living and the dead. God will appear as Lord in MAJESTY on the last day. Advent looks to the final times, which some refer to as the Rapture, and it prepares us for when the Lord will come and usher in the fullness of God’s Reign and the end of this world. There is the coming of God in the present moment, when we may least expect it — the advent of God into my own life. Some refer to this as God’s coming in MYSTERY. God’s nearness can be experienced in a variety of ways, in persons, events, in the Sacraments and in prayer. In the past God came: the historical coming of Jesus Christ to save us. In God’s hands is the future; God will come again. And, in the now of everyday God comes to us. Advent invites us to be ready, alert and prepared for these many comings of God to us. While Advent is structured around these comings of God to us, I suggest that it is also the time for us to come to God. Advent is like a two way street — God to us and us to God. Mary, the Immaculate Conception, and Mary, Our Lady of Guadalupe, can be our guide. She can teach us how to come to God. Yes. God has taken the initiative to come to us and God continually comes to us and God will come to us; it is what God does. How do we respond to these divine actions or comings? We make the move to come to God. In her Immaculate Conception, Mary came to God without the stain of any sin. Destined to be the Mother of the Savior, this unique privilege was extended to her alone. Her Immaculate condition from conception lasted throughout her life and continues into eternity. She is sinless and, as such, is an image of the Church. Filled with the grace of Christ, this is what the Church is to be — sinless. However, we who are the Church are not without sin. 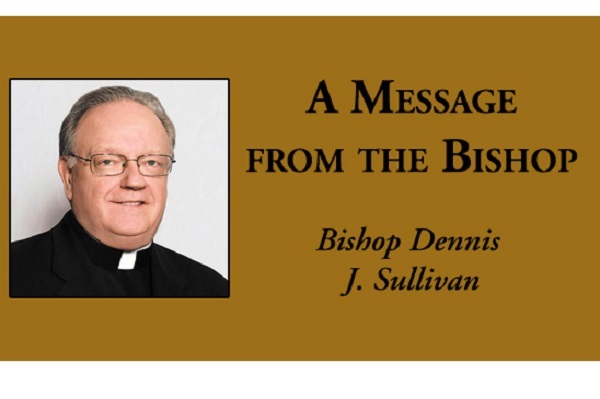 There are occasions when sin is particularly grievous, such as we have learned in the past months about the sins of abuse of minors committed by some priests and bishops. Dealing with our sins. Ridding ourselves of them. Coming to God free from them. These are worthy Advent initiatives that the Immaculate Virgin Mary teaches us. Mary, the Mother of the Lord, waited for His birth as do all pregnant mothers. We see this especially in Our Lady of Guadalupe, who is with child. She is pregnant. She manifests this to Saint Juan Diego. She is an expectant mother filled with child, expecting the birth of a baby. For us, longing for God is another very worthy Advent project. We should express that longing in our prayer. “Come, Lord Jesus” is an ancient Advent prayer. Easy to remember. Easy to pray each day. Mary, in her Immaculate Conception, represents the beginning of the Church without sin and the Guadalupe shows the appearance of God who will be born in human flesh. Mary lived waiting for the coming of God who came to her through the power of the Holy Spirit and took flesh of her flesh.